Thu, Feb 7, 2019, 08:59 pm SL Time, ColomboPage News Desk, Sri Lanka. 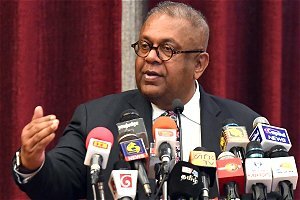 Feb 07, Colombo: The socio-economic standards of Sri Lanka's Estate Sector needs to be uplifted, as the estate sector community needs to be guaranteed inclusion in the main stream society, Minister of Finance and Mass Media Mangala Samaraweera said. Speaking at the inauguration ceremony establish a new Villages Development Authority for Plantation Region at BMICH today, the Minister said facilities will be provided for the estate sector youth to improve export opportunities and agricultural products through the Enterprise Sri Lanka program. Minister Samaraweera further said purpose of establishing the new Villages Development Authority for Plantation Region is to obtain the contribution of the Estate Sector community, for the national development process. The new authority will make it possible to properly and speedily distribute the benefits of development to the community, he said. "As a government, our policy is to provide the maximum possible support to this workforce and empower them," the Minister said. Speaking at the event, Minister of Hill Country New Villages, Infrastructure and Community Development Palani Digambaram pointed out that many of the facilities enjoyed by the other areas of the country, are not enjoyed by the estate sector. He further stated, this new authority has been established to provide solutions to the issues arising in the Education, Health and Housing areas. V. Radhakrishnan and Mano Ganesan were also in attendance.